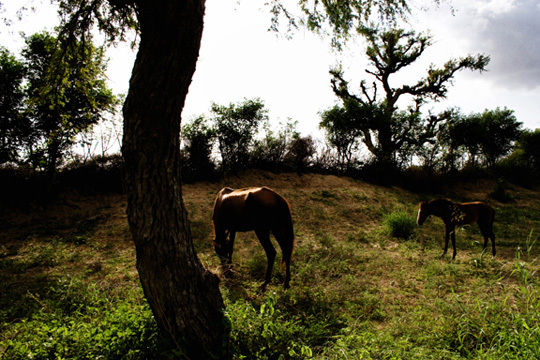 Horses graze in the Thar Desert, in south-eastern Pakistan. It is the ninth largest subtropical desert in the world. For six to eight months the Thar landscape is dull, dry and arid; when the monsoons arrive the desert comes alive with shades of green vegetation enjoyed equally by man and beast.